Sleep regressions. 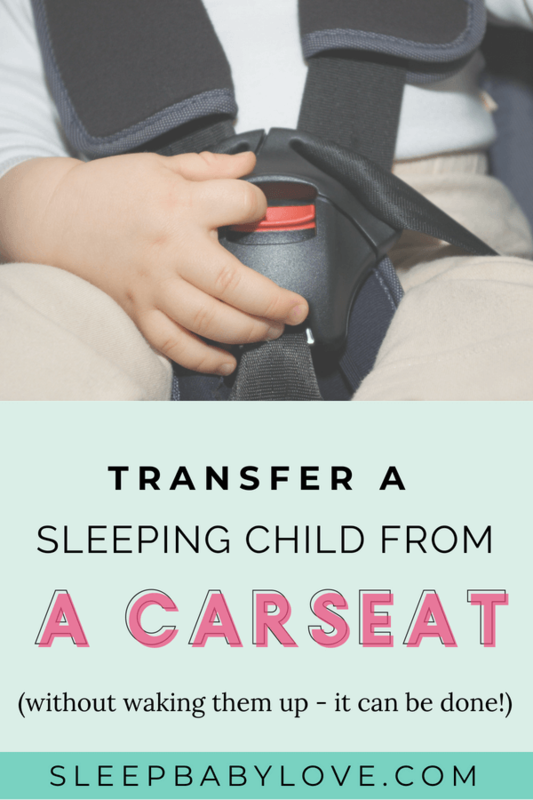 They’re one of those not-so-magical terms that all your non-mom friends have probably never heard of, but you’re now getting to know all-too-well. 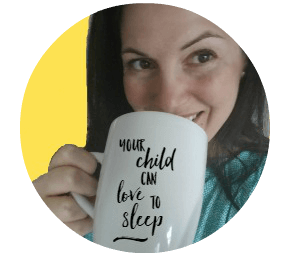 Whether it’s your baby waking up every half hour to scream her truth to the world or your toddler on a protest against shut-eye, surviving a sleep regression is no easy task. 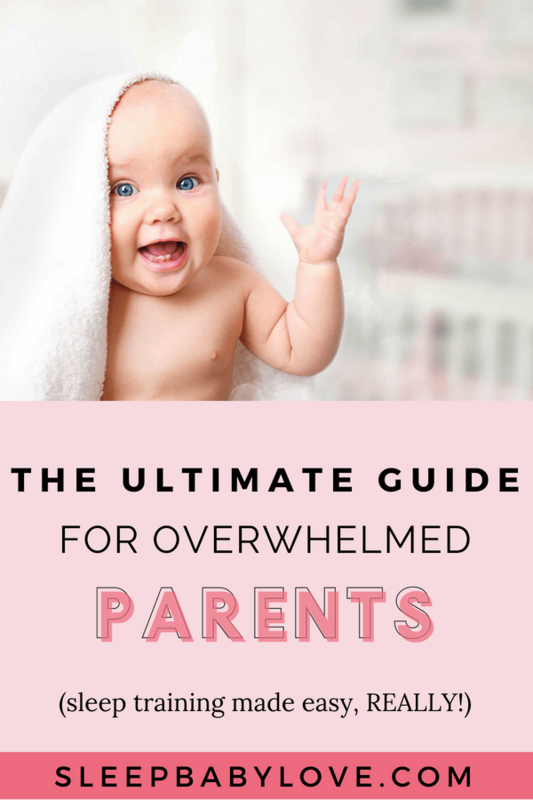 If you’re having sleep issues with your little one right now, or just reading up to prep yourself for the future, you’ve come to the right place. 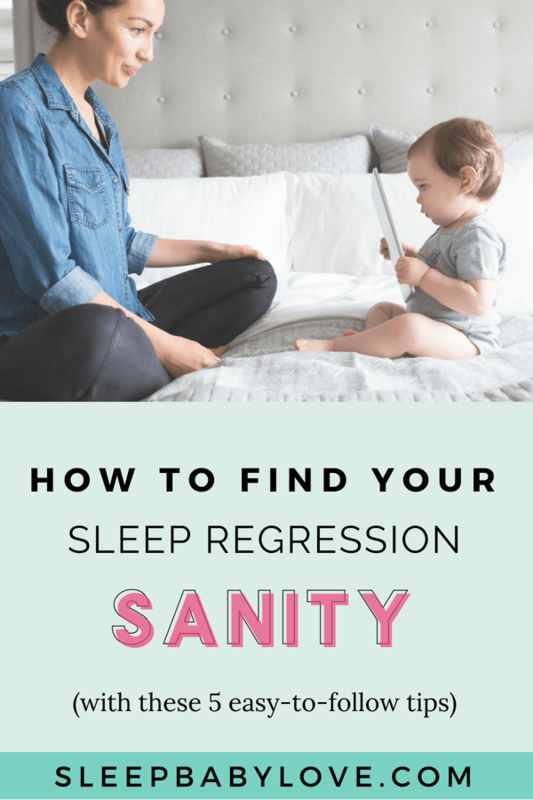 I’m going to break down everything you need to know about sleep regressions and the tips that’ll help everyone in your family get back to a solid sleep schedule. 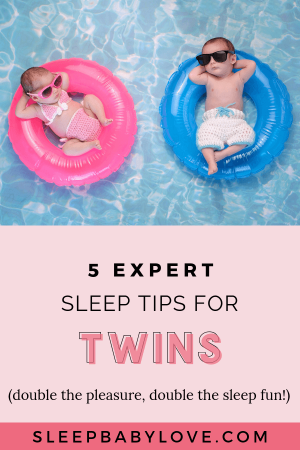 Essentially, a sleep regression is a period of time when a baby (or toddler) goes from consistent, healthy sleep patterns to erratic sleep—skipping naps, waking up earlier than normal or only sleeping for a few hours at a time during the night. 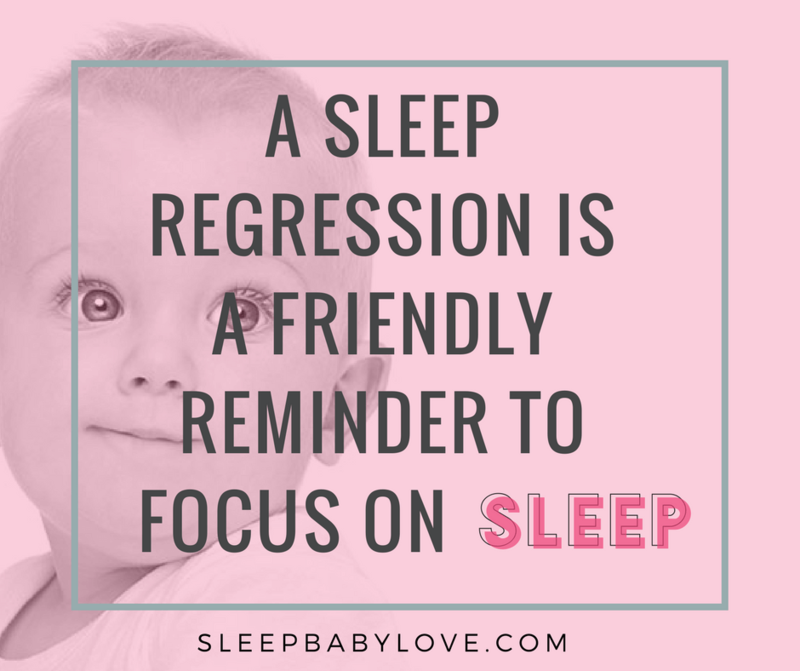 Rest assured, just because it’s called a “regression,” there’s no evidence to show that your baby’s sleep is actually regressing in any way, but it’s still important to try and get them back on a solid sleep schedule. WHEN DO SLEEP REGRESSIONS TYPICALLY OCCUR? Every baby is different, so it’s important to remember your little guy may experience more or fewer periods of sleep regression and, no matter what, it’s totally normal. 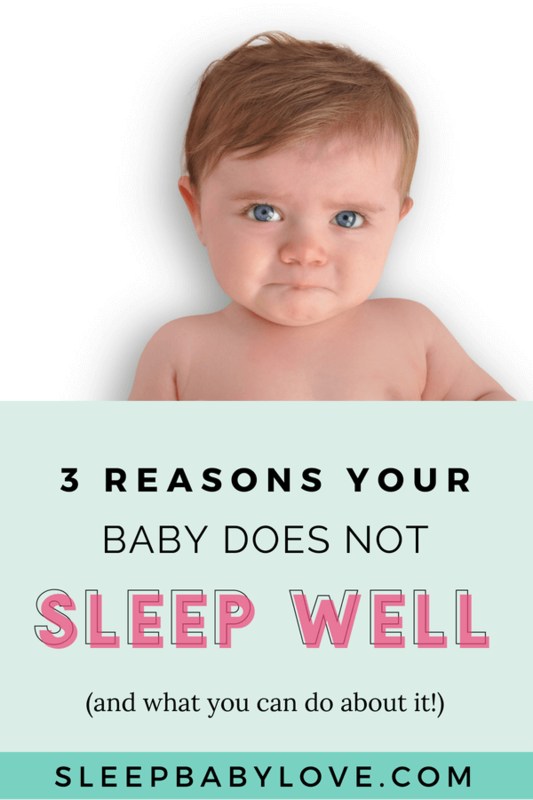 However, sleep regressions typically hit at three major developmental milestones: the 4th month, 8/9 months and 2-year mark, but can also occur around 12 and 18 months too. Again, every baby is unique. 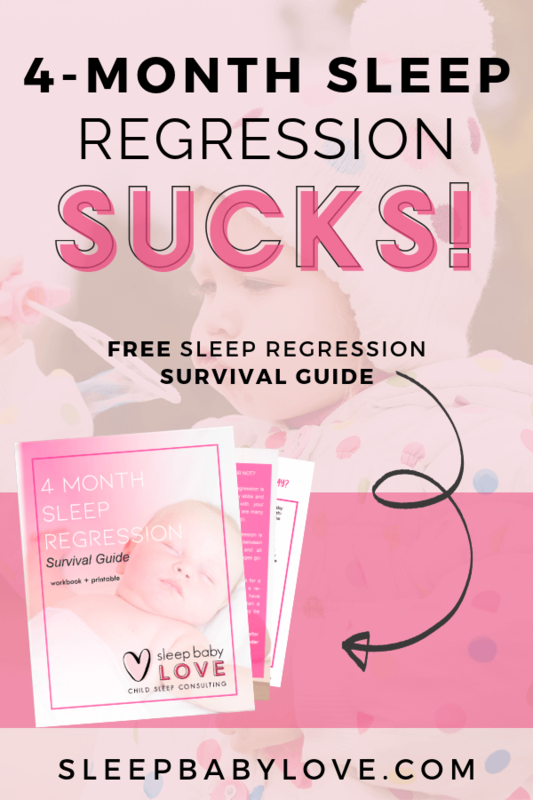 The 4-month sleep regression is typically the first time you see a dip in sleep (especially if your child has been a decent sleeper up until this point). 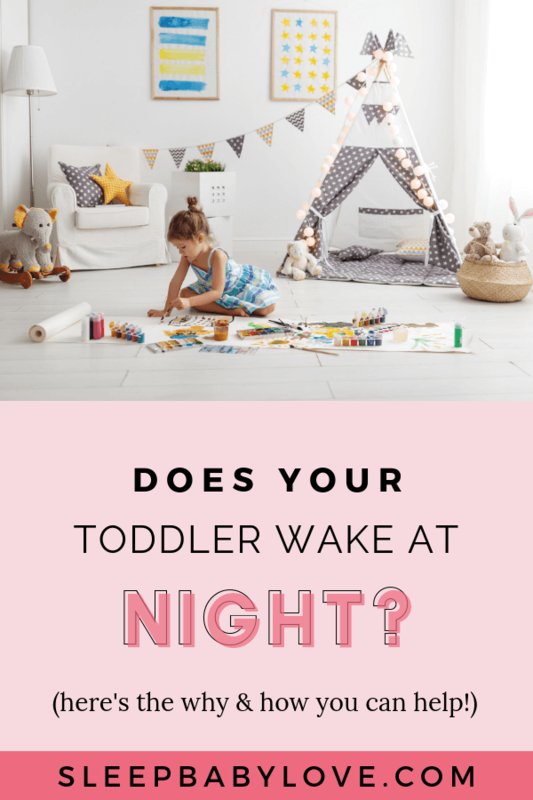 This is because, at 4 months, your baby’s sleep becomes more adultlike, so they will have to cycle through various stages (drowsy, light sleep and, finally, a deep sleep) before being able to fall asleep. 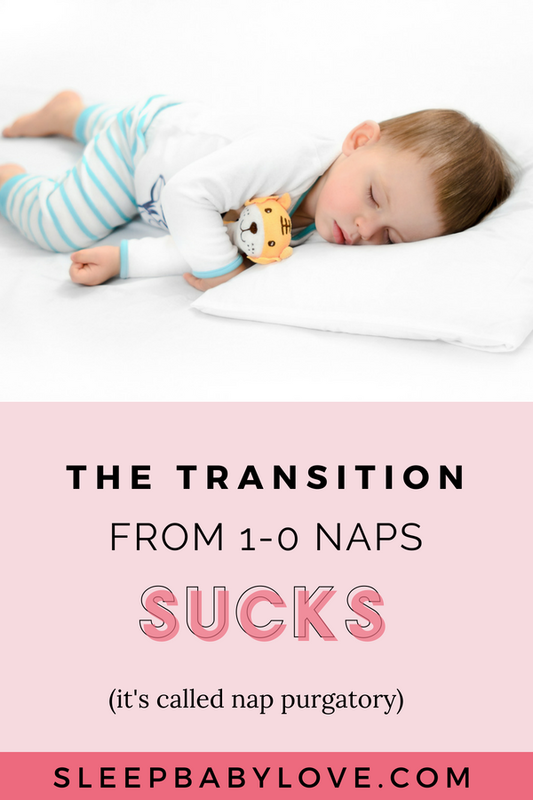 On top of that, short naps aren’t cutting it anymore, and your baby is more aware of you, which means they’d rather hang out with you then fall asleep again. It’s around 8 months that your baby starts to do a bit more developing, like suddenly grasping the idea of object permanence (no pun intended). In other words, your baby starts to understand when you aren’t there. Oh, and remember how they became more aware of you during month 4 and wanted to forego sleep in order to hang out with you? Well, now they miss you so much, they’re dealing with a bit of separation anxiety. You’ll never forget your baby’s first steps. However, there’s a chance that those first steps will also come with a bit of sleep chaos. Why? Because around the 11-12 month mark, your baby is starting to get stronger and more mobile but is also struggling more with her nap time. Here comes another round of development to disrupt your baby’s sleep! 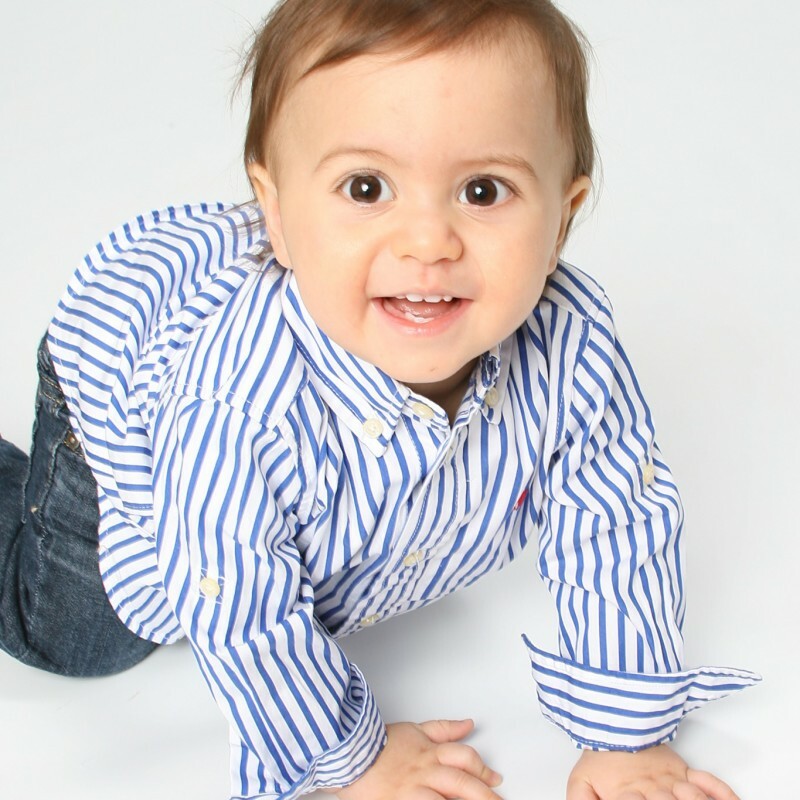 Around 18 months your baby is just starting to stretch her independence. Sadly, this fledgling independence means she may also try to push the boundaries of her sleep time—struggling to maintain consistent with nap times or sleep through the night (and may be awake for long periods of time). Ah, the terrible 2-year-old sleep regression. 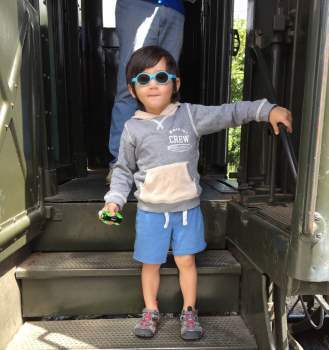 At this stage, your toddler believes he is a full-fledged little individual. So now more than ever, he is pushing the boundaries of that newfound individuality by challenging your authority and testing your limits (just to test them – for fun! ), and that makes it pretty darn challenging to stick to a standard sleep schedule. The good news is that a true sleep regression should only last for a couple of weeks at the most. If your baby’s sleep is affected longer than that, your sleep regression might actually be a not-so-friendly reminder to focus on healthy sleep habits, like independent sleep skills. HOW DO I SURVIVE A SLEEP REGRESSION? After learning about sleep regressions—what they are, when one typically occurs, and how long they last—you may suddenly realize your little one is going through a sleep regression right this second. 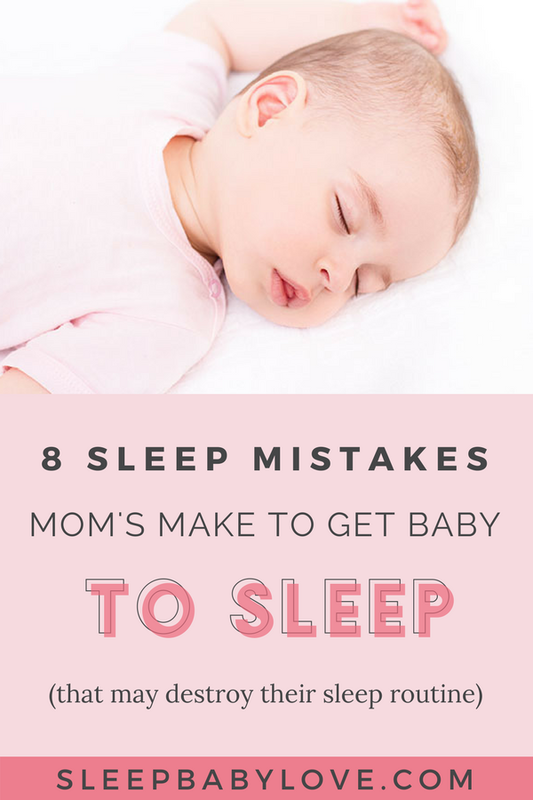 Or maybe you already knew you were dealing with a sleep regression, but are wondering if and how the heck to get through it. Well, if you’re dealing with a 4th-month sleep regression, I’ll warn you it can be quite a doozy. 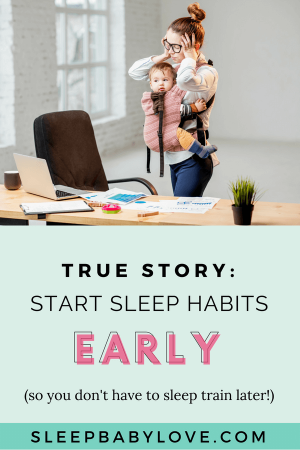 In fact, it’s one of the most common sleep regression periods (a simple Google search more than confirms this) because there are so many permanent changes taking place during this time. 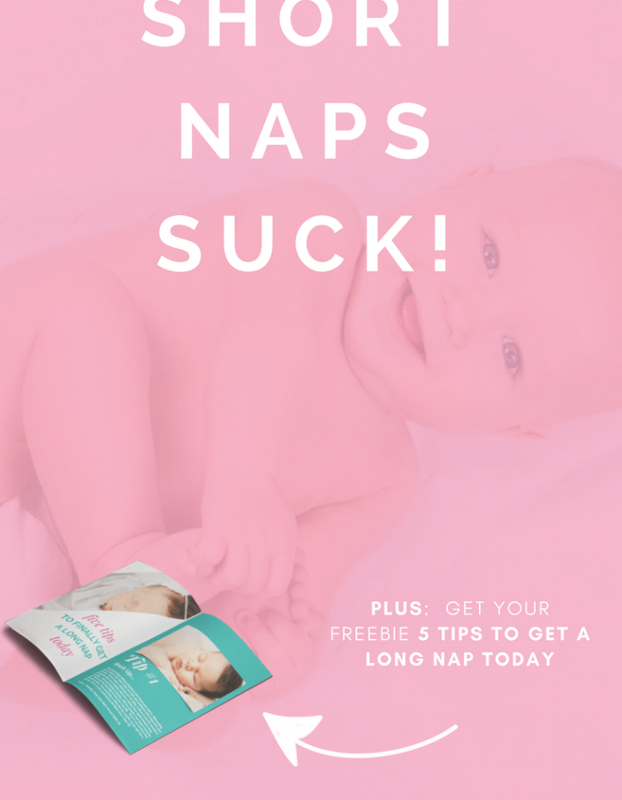 If you have a 4th-month sleep regression on your hands, I recommend downloading my FREE ebook to get all the best tips on how to get through this time without losing your sanity. Comfort them, without making new (or reinstating) bad habits. Don’t try changing habits during a regression, but also be careful not to go backward. Lovingly respond to your baby, but draw boundaries. For example, if she wakes during the night, feel free to approach her and hold her for a few minutes, but put her down before she’s totally asleep. Get help from a partner or sleep expert. 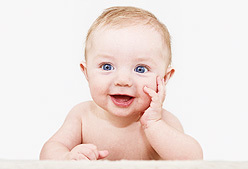 Sleep regressions can last for awhile and occur semi-frequently throughout your baby’s first few years. 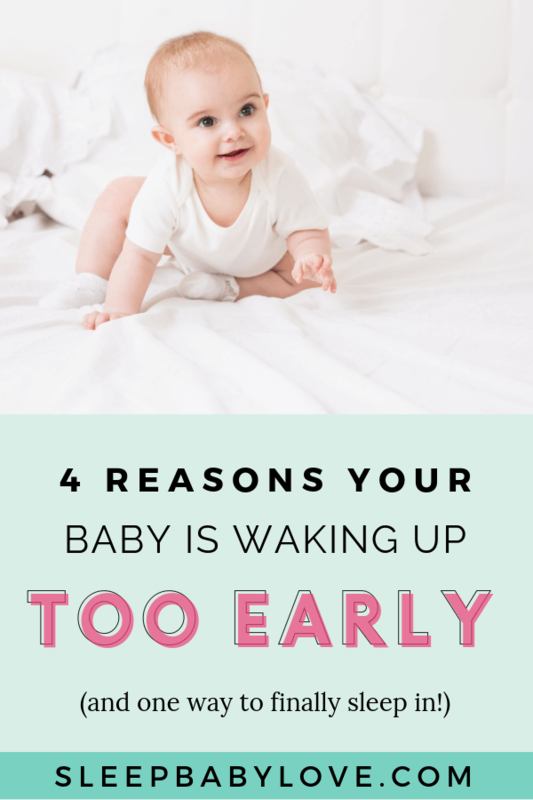 Because of this, you’re bound to get tired, trying to manage your baby’s sleep while trying desperately to get enough of your own. That’s why it’s important to lean on your partner to help tackle the regression battle or get some expert advice to relieve some of the burdens. —>> And if you know that sleep training is in your future – that’s when it’s time to call me (because I literally change my clients’ lives once their whole family is sleeping better). Adjust their bedtime, if necessary. 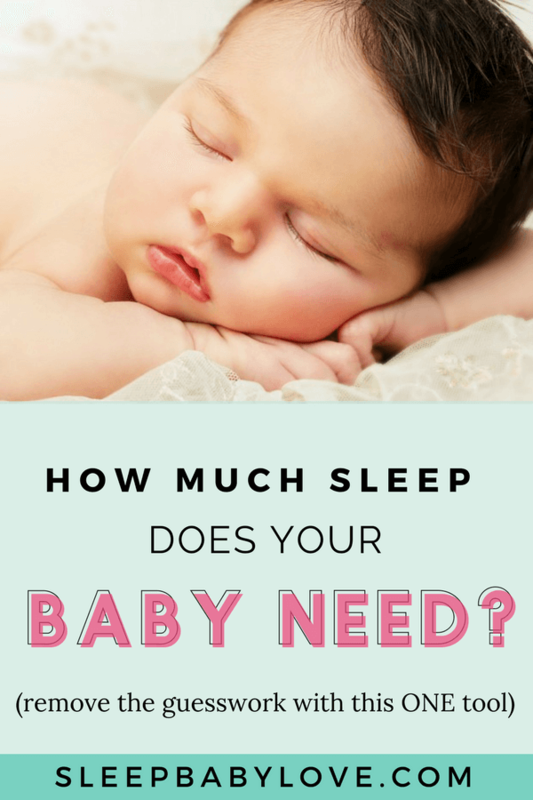 Because your baby may not be getting an adequate amount of sleep (which could eventually lead to sleep debt), you may need to consider putting them down for bed slightly earlier than usual, to ensure they’re getting the proper amount of sleep. Reassess their sleep environment. Is the temperature comfortable? Has the lighting changed at all? Are there any new toys that might distract your toddler? Take a look around the room. 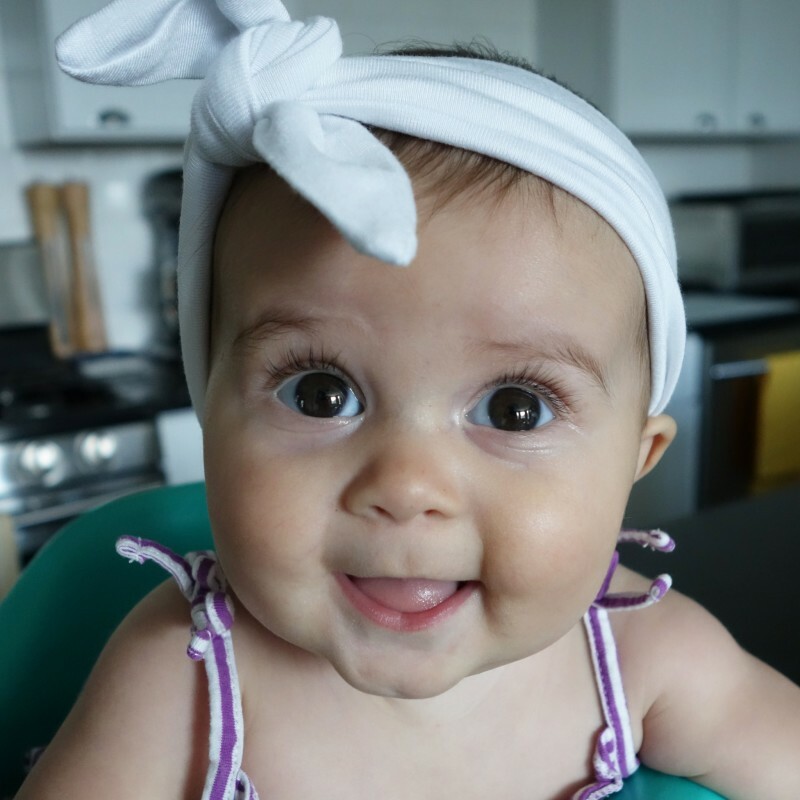 Get rid of any screens and ensure all of your baby’s senses (sight, hearing, and smell, specifically) have been considered. Consider a comfort object. 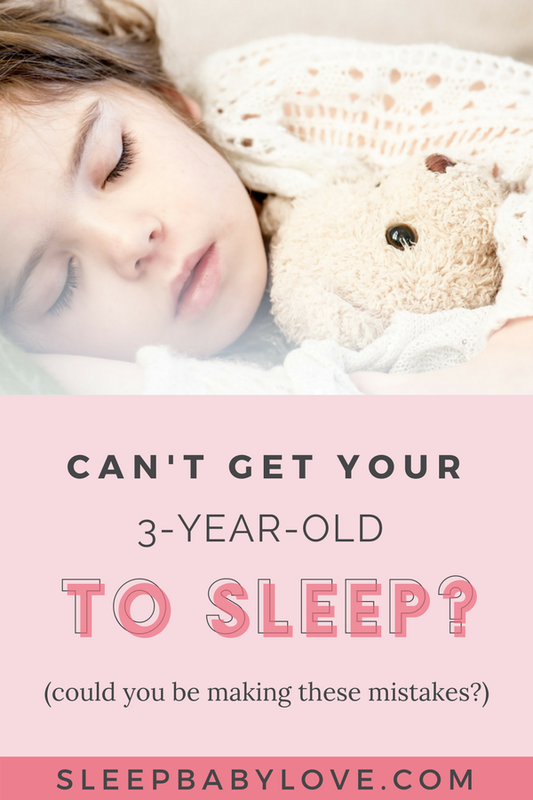 Depending on what type of sleep regression you’re dealing with, your toddler may be dealing with some separation anxiety. To help comfort them, without making your presence a necessity, try offering one soft comfort object for them to sleep with. Note: This is only recommended if your toddler is over one-year-old. 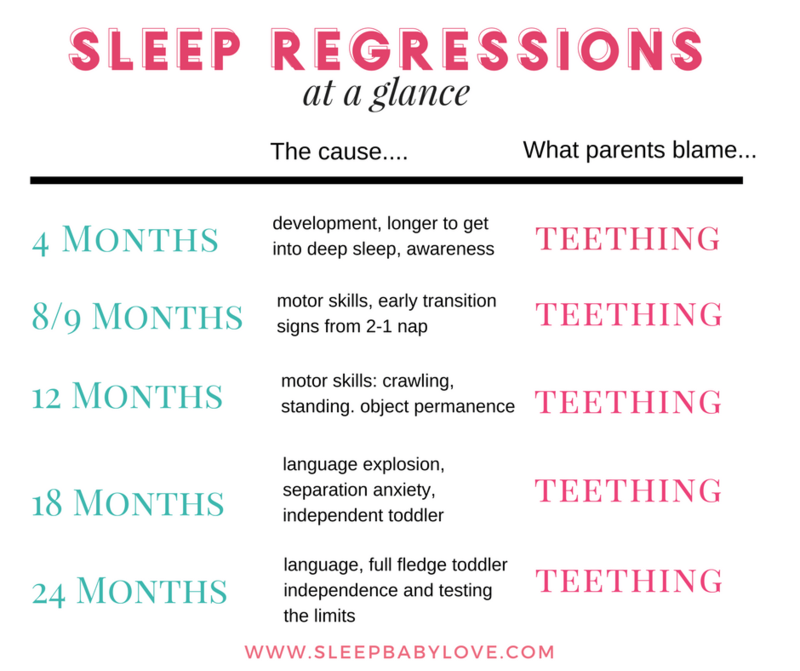 HAVE YOU EVER BEEN THROUGH A SLEEP REGRESSION WITH YOUR BABY? DO YOU HAVE ANY TRIED AND TRUE WAYS TO GET THROUGH IT? SHARE YOUR EXPERIENCES IN THE COMMENTS BELOW.